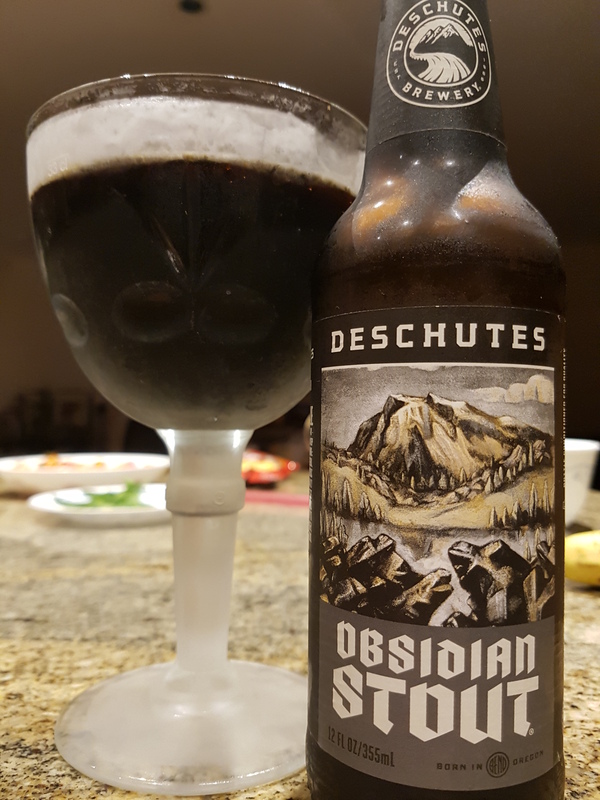 Obsidian Stout – Deschutes Brewery (Bend, OR, USA) | Justintoxicated. Visual: (cellared for 1 year). Pours ultra dark brown without a head but temporary surfacing bubbles, thin ringed retention, barely visible singular micro streams. Summary: Lots of lengthy roasted malts with a just enough sweetness and acidity to balance it out. Medium bodied, low creaminess. Smooth drinkability.